Grown in Oregon. Native to the U.S. 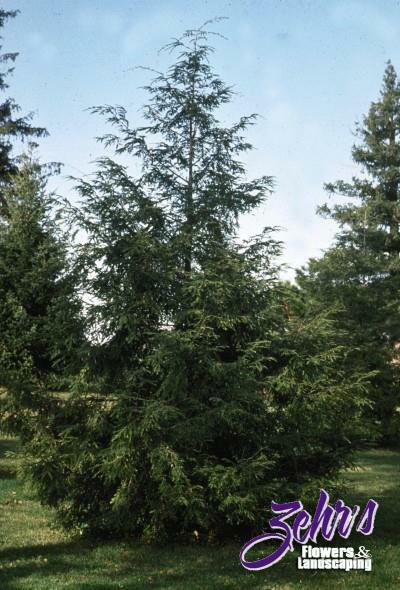 Graceful evergreen for hedge or specimen. Pyramidal growth, branches often droop. Can be easily sheared into a hedge. Full sun to shade. Rarely to never fed on by Japanese beetles.